Brimmer and May School enjoys a 135-year history of providing a transformative education where students are encouraged to strive for their personal best. Our story began with the founding of the May School in 1880, followed soon after by the establishment of the Brimmer School in 1887. Brimmer’s established curriculum and well-known pedagogical approach provide the structure to meet the emerging challenges of education in the 21st century and allow the School to implement the best learning environment for today’s students. Bolstered by its traditions, Brimmer will continue to provide a life-changing education in an increasingly complex 21st-century world. To meet this challenge, our Board of Trustees and greater community have undergone a rigorous strategic planning process. Our thorough planning process revealed that the need to act is apparent, the project is critical, and the timing is urgent. 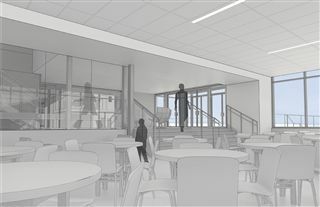 Realizing the Vision will focus on enhancing community, classrooms, collaboration, and innovation at Brimmer through a set of clear, compelling, and achievable priorities and objectives. A Two-Story Addition to the Chase Building for New Classrooms, Dining, Community, STEAM, Innovation and Collaborative Space. The changes to the Chase Building will be transformative. The enhancement of teaching, learning and community experiences will be dramatic. 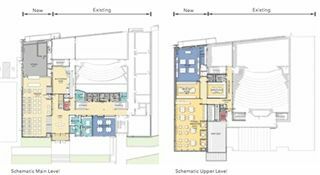 A 12,000-sq.-ft. two-story addition, which will include renovations to existing space, will be built at the west end of the building. Improved Parking and Drop-Off Area and Targeted Gymnasium Improvements. Modernization will bring our athletic facility into the 21st century. Smart traffic solutions will enhance safety and daily convenience for families, as well as for visitors to campus. Investment in Innovative Teaching and a Stronger Future for the School. $1 million Endowment for Faculty Innovation will provide support for faculty who are spending summer and weekends developing new programming for our students and also provide support for classroom materials that are critical to this progress.